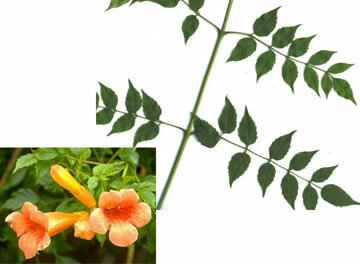 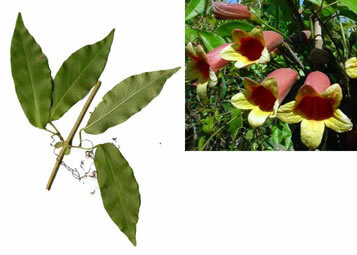 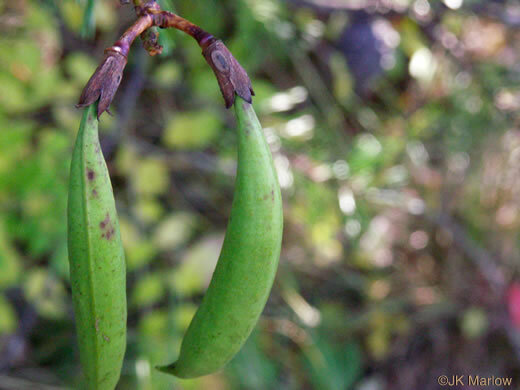 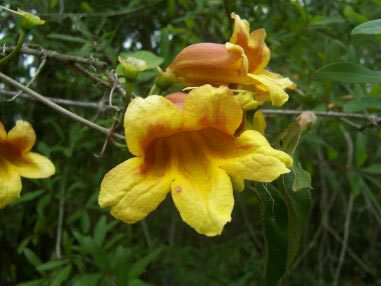 Your search found 12 image(s) of Crossvine, Trumpet Creeper and Yellow Jessamine. 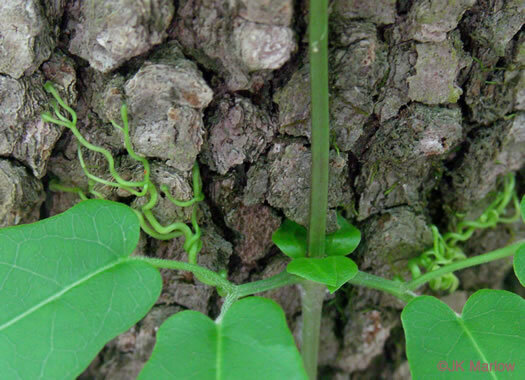 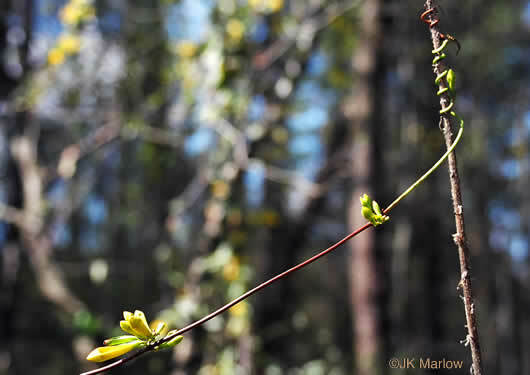 The vine twines upward from left to right, per Vascular Flora of the Carolinas. 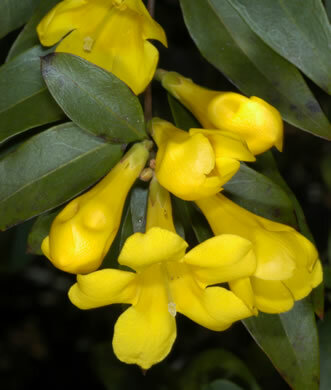 Rich yellow, funnel-shaped flowers w 5 spreading lobes, on short pedicels, per Wildflowers of Tennessee, the Ohio Valley, and the Southern Appalachians. 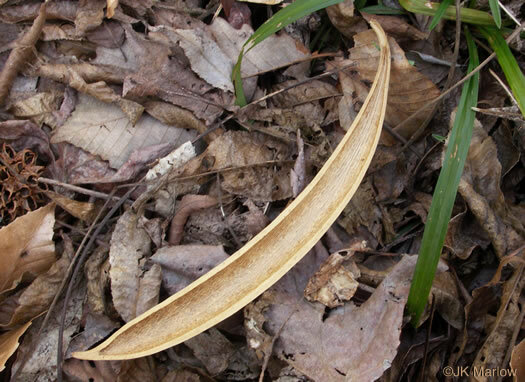 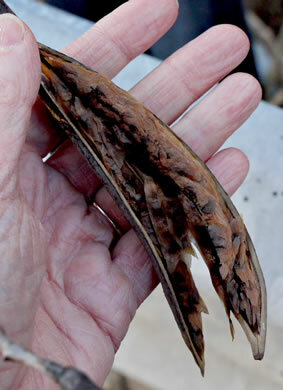 Leaves are evergreen, opposite, lanceolate to elliptic, per Vascular Flora of the Carolinas. 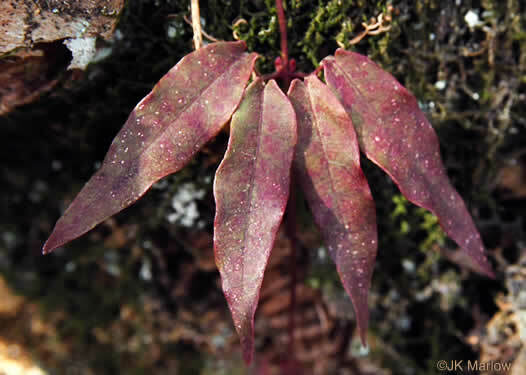 Leaves compound with only 2 leaflets (appearing as 4 leaves per node), per Forest Plants of the Southeast and Their Wildlife Uses. 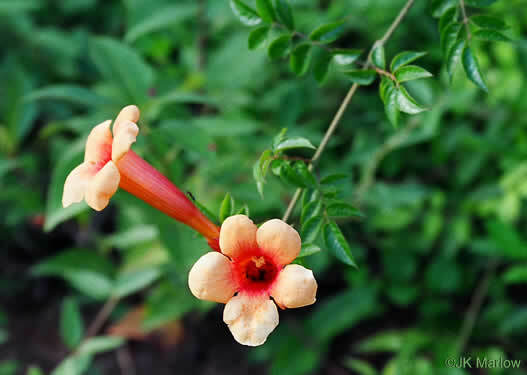 Trumpet or bell-shaped reddish or maroon corolla w 5 flaring yellow lobes, per Wildflowers of Tennessee, the Ohio Valley, and the Southern Appalachians. 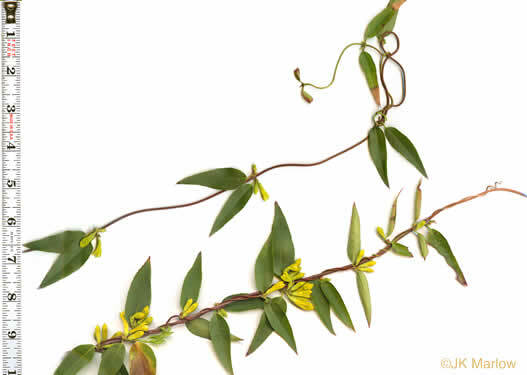 It climbs by its curly tendrils and the small adhesive disks at their tips, per Wildflowers & Plant Communities of the Southern Appalachian Mountains and Piedmont.